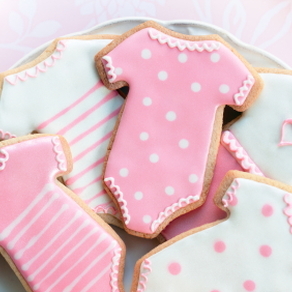 All babies have different temperaments, and no place is this more evident than in the crib. Some babies are content to sing, play, or sleep for hours in the crib; others see the highest crib bar as yet another challenge to overcome. If they’re truly interested in climbing out, some toddlers will try this as early as 16 or 18 months. The first time they climb out, they might fall and scare themselves into not doing it again. If you have a successful little escape artist on your hands, you need to have a plan in place as quickly as possible to make sure that, above all, your baby stays safe. 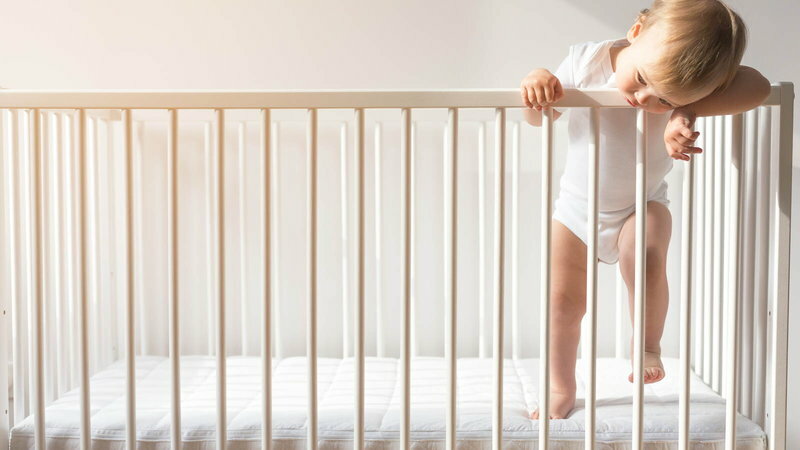 When your baby learns to climb out of the crib, there are two basic approaches you can take: You can make it harder for them to get out, or you can get rid of the crib altogether. Making it harder for them to get out usually involves some form of a crib tent. A crib tent is kind of like a little mesh tent that attaches to the crib and keeps the baby from climbing out (and keeps curious pets or siblings from climbing in). Crib tents may work well for younger babies who aren’t that convinced they need to get out of the crib. On the pro side, a crib tent usually provides protection and peace of mind for as long as your baby still needs to be in a crib. On the other hand, those little monkeys who are determined to get out of the crib will often learn how to escape, usually by unzipping the tent. Some parents then go a step further and lock down the zippers, but by that point they often ask themselves if it really isn’t time for a bed after all. The second approach is to move the baby out of the crib onto a mattress on the floor, a toddler bed, or a low twin bed with side rails. If your toddler is 2 ½ or 3, it is probably time to move them to a “big kid” bed anyway. If your baby is 2 or under and you are considering taking them out of a crib, you need to take extra care to keep them safe at night. Most importantly, you should gate off any area where you do not want your child to wander if they get up at night. If you want them to only be able to make it as far as their bedroom door, keep the gate there so they can ask for you at night and you can come and put them back to bed. If you are willing to let them come as far as your room, and if it is practical, gate off everything except a single pathway to your bedroom. You should make sure that they are not able to get in a bathroom, kitchen, or anywhere near the top of a set of stairs. Incidentally, it is not advisable to lock the door of your little one’s bedroom with them inside. This could make bedtime extremely frightening for them, and it presents a real danger in terms of fire safety. Once you have the big-kid bed for them to sleep in, follow the same routine that you always have for putting them to bed. If they try to get up, pat them and put them back down in bed and keep reminding them that it is time to go to bed. You and your partner should then decide on a single, boring phrase (such as “Time to go to bed”) that is the only thing you say to them if they get up in the middle of the night. So when your little one wakes up and comes to find you, you walk him or her back to the bed, saying only “Time to go to bed,” and tuck them back in. Don’t turn on the lights, don’t make any other conversation, and don’t scold or threaten. Repeat this as often as necessary, making the routine as boring and predictable as possible, until your little one realizes that there is never going to be any other outcome than someone putting them back to bed and saying, “Time to go to bed.” This may take a few nights, but in the end you should have them reasonably well adjusted to staying in a bed all night. In time, as with all other developmental milestones, the crib will seem like a distant memory.